Increasingly we've seen artists use upcycling to create unique pieces of eco-friendly art. 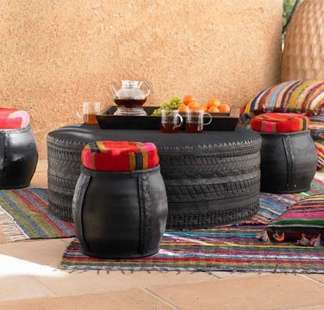 One trend we've picked up on is the creation of art from recycled tires which includes bicycle and car tires and encompasses everything from from furniture made of car tires to delicate jewelery. This cluster of art from recycled tires is a great example of the type of positive innovation that comes from combining creativity with eco-friendly intentions. 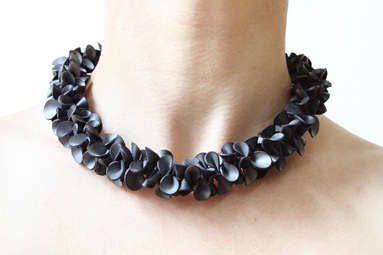 Implications - If you're looking for just one article to check out in this collection, I recommend the recycled bicycle jewelry, which is the most elegant accessory I've ever seen -- made from tires and not made from tires.